* How can I find a decent tunic that won't break my bank account? * What do I do if I'm being attacked by an army of one million Persians? This two-color book is filled with humorous maps, reviews of places to stay and top attractions (Don't miss the first-ever Olympics! ), and tips on who to have lunch with (Alexander the Great and his horse, Bucephalus, naturally). 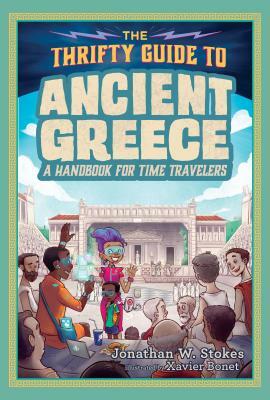 If you had a time travel machine and could take a vacation anywhere in history, this is the only guidebook you would need. Xavier Bonet is an illustrator and comic book artist who lives in Barcelona with his wife and two children. He has illustrated a number of middle grade books including Omnia, by Laura Gallego; Michael Dahl's Really Scary Stories series; and the Keepers trilogy, by Lian Tanner. He loves all things retro, video games, and Japanese food, but above all, spending time with his family. Visit him at www.xavierbonet.net/ and follow him on Twitter or Instagram @xbonetp.